This year I decided to signup for Ali Edward's One Little Word workshop. This is a year long workshop with monthly prompts and assignment to help you connect with your word for the year. I did joined her class in 2014 and I really find it very helpful. I didn't get a chance to finish the class due to the death of my mom that year and I was so depressed and not in the mood for any project. I am hoping that this year I will get a chance to participate more with the program. Ali mention about the theme for this year is to Show Up. I think that is a good idea. I might inject the same theme with my team at work. I believe that no matter what you do or involve in, it is important to Show Up. Last year I choose Create as my one little word. I got excited with the word that I have managed to have fun with it. Well as always when you do this type of project by yourself, in the middle of the year it got lost. As always life happened and you forgot all about it. 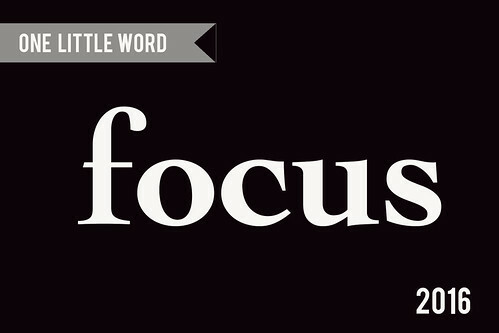 This year I choose focus as my one little word. I don't really have any specific story behind the word, it's just that in 2015 I have embark on many interesting and exciting project and things kinda get overwhelming. 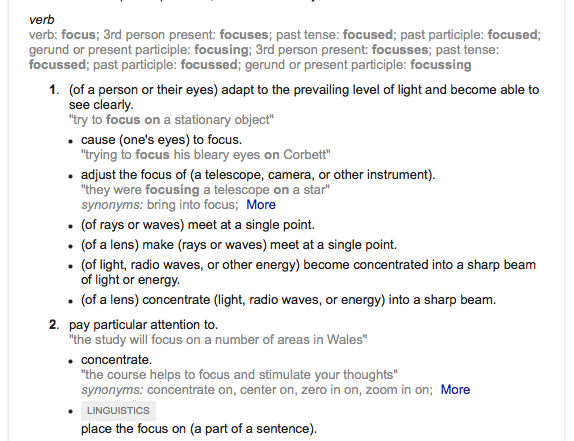 I need focus in my life. I need to stay centre, be presence and be in the moment. 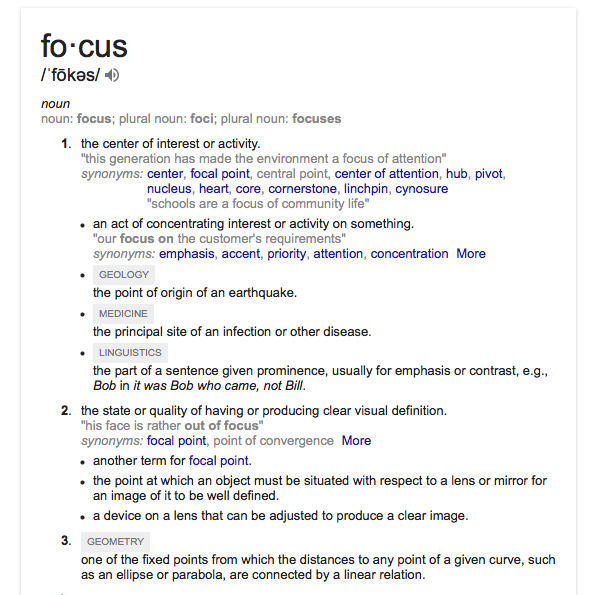 As always the first assignment is to look up the definition of focus. I have been feeling uninspired at work lately up to a point where I want to just quit. I hate the current management, I hate the current system and I hate everything about it. Quitting is never an option for me because I have invested most of my adult life in this job. I used to love working here. I really need to redirect my attention to things that make me love the job and not get distracted with the ugly politics there. I have been trying to loose weight since I gave birth to my youngest son but somehow I just can't keep it off. Trying to do to many things makes me loose focus on what's important. I want to be able to move smoothly, run and jump without running out of breath. Love your heart should be my motto of the year. Do more cardio and take care of my heart. Last year I have been focusing a lot on taking random photos daily - Project 365- and somehow I felt like I am missing something. I want my memory keeping to mean something. So this year I intent to capture daily life intentionally and not feel pressure to take photo every single day. The most important is to cultivate a good life and record it. I think this is the most neglected part of my life. I rarely pay attention to it. I usually came home from work, play with computer, exercise, plan a little bit, have dinner and then sleep. I really need to do something with my home. I need to focus on letting go of clutter especially things that have been collecting dust and not being used for awhile. Rearrange something to fit a craft area for me to play and make a beautiful mess. That means finding all kinds of way to be closer to Allah. Be a good muslim for Allah. Never stop believing in Allah. This is the area in my life that I really need to focus more. At this point in my life I really need to learn to rely on Allah more and not rely on human. Life after death is real, judgment day is real, heaven and hell are real and death is just the beginning of the eternal life. create an upbeat playlist music to keep me motivated. I use Apple Music for this.
" WHEN LIFE GETS BLURRY, ADJUST YOUR FOCUS"